The 52 SUPER SERIES combines sustainability, sailing, and a little bit of fun with excellent results. 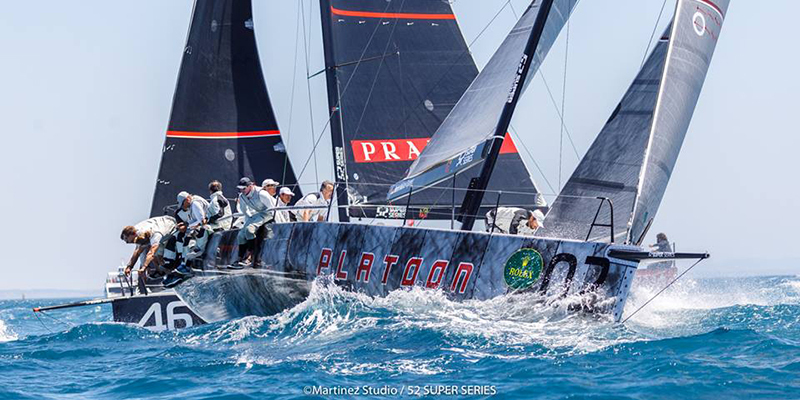 The 52 SUPER SERIES just wrapped up the 2018 ROLEX TP52 World Championship in Cascais, Portugal. This event also marks the mid-way point of the 2018 52 SUPER SERIES with two more regattas left later this year. The racing has been exhilarating, and competitive, and the collaboration on land for sustainability among teams, organizers, host venues and stakeholders has been an integral, and inspiring part of the series. The 2018 season represents the fourth year in partnership with 11th Hour Racing, and green-minded circuit organizers are working hard to build upon the great strides and notable achievements made over the past three years. At every 52 SUPER SERIES event, sustainability is the core value that brings teams together, with a member of each racing team attending the Sustainability Ambassadors meeting to discuss plans, initiatives, review achievements, discuss issues and in general promote broader collaboration. Organized beach cleanups are another rallying point at every event – these bring junior sailors and competitors together to not only remove trash but also learn about local pollution issues and get a better understanding of what types of products are the most pervasive on beaches around the world. 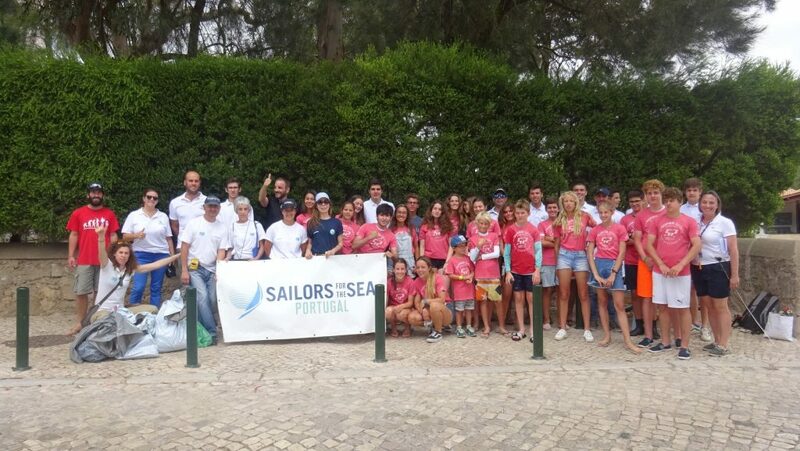 In Cascais, the 52 SUPER SERIES invited 25 kids from the Cascais Sailing Club to join them for the beach clean alongside volunteers team Platoon, staff from a nearby hotel and Sailors For The Sea Portugal, who helped organize the cleanup. The group collected 72 kilograms of litter and found that cigarette butts, glass, and plastic were the most common pieces of litter. The junior sailors also got the change to tour Quantum Racing, getting to see what they can look forward to when they are older! 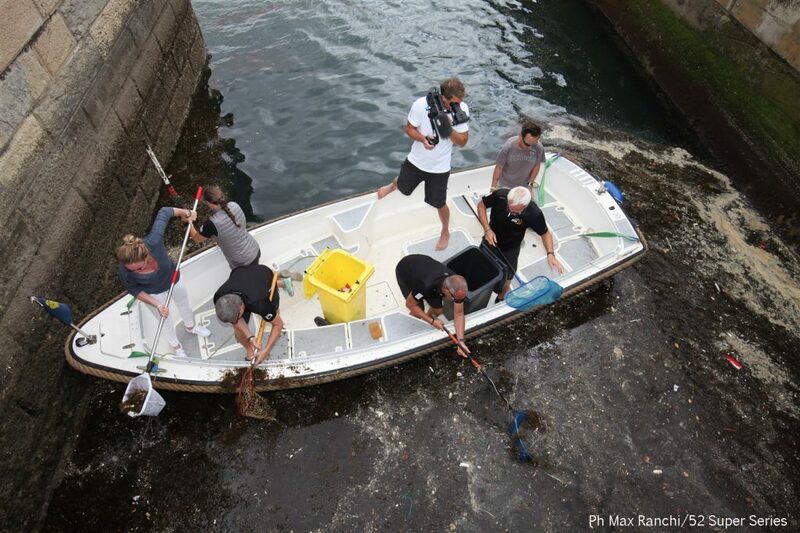 At this stopover, litter removal has also been a priority in the marina, where a strong current brings big plastic items into a centralized area making them easy to scoop out and dispose of daily – looks like a good spot for a trash skimmer. 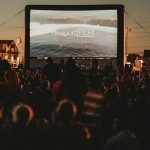 While plastic pollution is the most visible element of ocean health issues while racing, the 52 SUPER SERIES has been doing a lot of behind the scenes work to make their sustainability initiatives pervasive throughout their events. 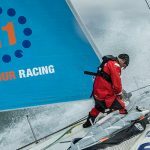 For the 2018 season, the 52 SUPER SERIES has partnered with Bluewater and Ecoworks Marine. 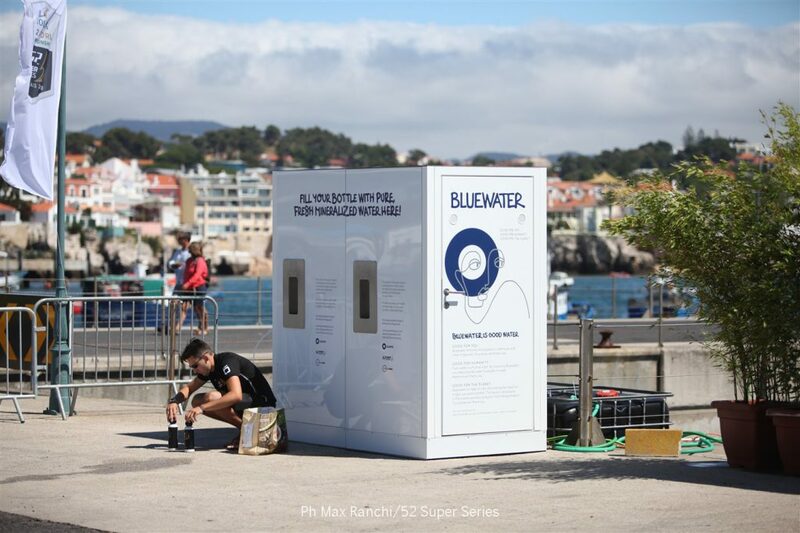 Bluewater, a world leader in water purification, is helping race organizers strengthen their efforts in the battle against single-use plastic with water refill points for the 52 SUPER SERIES teams, staff, race officials and guests. Ecoworks Marine supplies the teams with their “Preserve the Living Seas” range of eco-friendly and MARPOL compliant boat cleaning products. The series organizers also track and offset the total carbon footprint of event operations including flights, electricity, water, and fuel, and worked to receive ISO 20121 certification in sustainable event management, which was accomplished in 2016 and 2017, with ongoing analysis to ensure success in 2018! 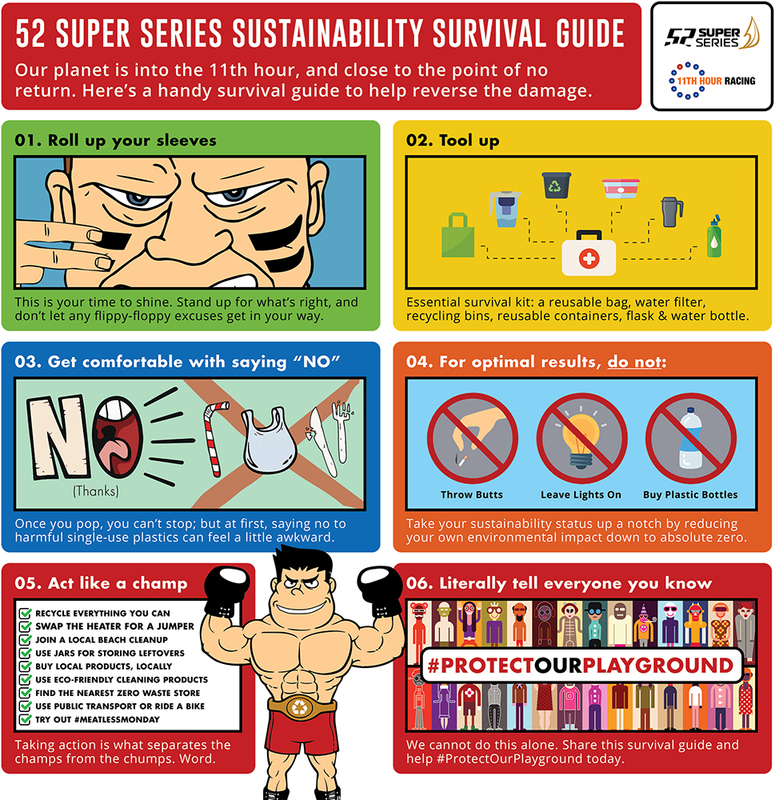 Starting conversations about sustainability and ocean restoration is crucial to protecting our playground and nobody makes it more fun than the 52 SUPER SERIES. Through infographics and videos, their lighthearted approach is backed by serious conservation efforts.